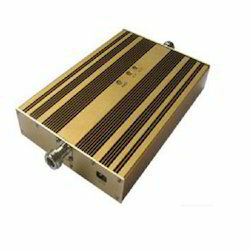 Mobile Signal Jammer is used to prevent mobile phones from receiving or transmitting signals with the base stations. Mobile jammers effectively disable mobile phones within the defined regulated zones without causing any interference to other communication means. Mobile jammers can be used in practically any location, but are used in places where a phone call would be particularly disruptive like Temples, Libraries, Hospitals, Cinema halls, schools & colleges etc. As with other radio jamming, mobile jammers block mobile phone use by sending out radio waves along the same frequencies that mobile phones use. This causes enough interference with the communication between mobile phones and communicating towers to render the phones unusable. Upon activating mobile jammers , all mobile phones will indicate "NO NETWORK" . Incoming calls are blocked as if the mobile phone were off. When the mobile jammers are turned off, all mobile phones will automatically re-establish communications and provide full service. Mobile jammer 's effect can vary widely based on factors such as proximity to towers, indoor and outdoor settings, presence of buildings and landscape, even temperature and humidity play a role. 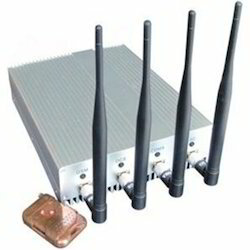 The choice of mobile jammers are based on the required range starting with the personal pocket mobile jammer that can be carried along with you to ensure undisrupted meeting with your client or a personal portable mobile jammer for your room or medium power mobile jammer or high power mobile jammer for your organisation to very high power military jammers to jam a large campuses. Designed for indoor applications with low power consumption, compact size, and light weight.Inbuilt AGC & ALC function be able to ensure easy installation without setting.Plug & Play basically no need for configuration and free of maintenance.High working gain Output power 10 dBm and 23 dBm for small site indoor coverage.Built-in wireless modem (Optional) for remote monitoring by SMS, GPRS or TCP/IP. We have uniquely positioned ourselves as one of the topmost enterprise, extremely efficient in trading, distributing, retailing and supplying an exquisite gamut of GSM SMS Alarm Controller. Our offered controller is designed utilizing standard quality components and employing highly-advanced technology. This is stringently tested by our quality controllers in order to deliver defect free range at client’s end. Further, our clients can avail it form us at industry leading prices with no constraint. GSM SMS Controller can be used in places which require turning ON/OFF your system, machines, and equipments remotely with a SMS text from your mobile phone and protect your assets. More over, the GSM SMS Controller-Alarm with 2, 4,8 & 12 digital inputs, when any one of the inputs triggered, will start the siren or switch on the light automatically. 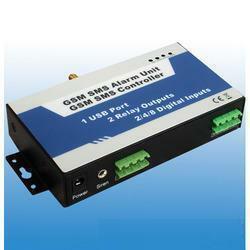 in the meanwhile, the GSM SMS Controller will send SMS Alert the to owners immediately. This is very useful if you need protect your assets with low cost solution. Looking for Telecommunication Product ?